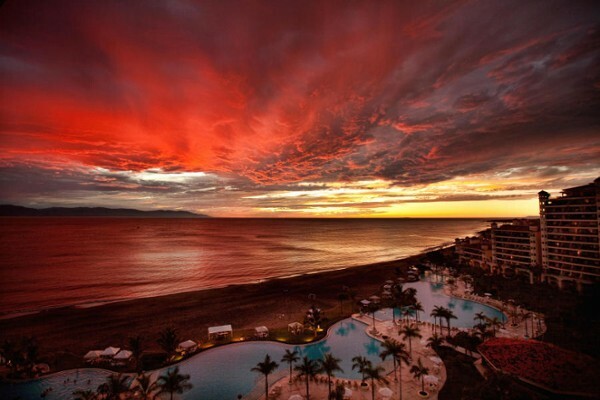 There are three distinguishing landmarks for Marina Vallarta. When arriving by vehicle, the first you'll see is a large whale sculpture at the Marina's main entrance. It was built by Octavio González in the early 90s and paid for by local Marina businessmen. The prominent landmark is a lighthouse, built alongside the marina promenade and at the end of Calle (street) Timon. The lighthouse has a bar at the top and is a wonderful place to have an evening cocktail and get a great view of all of Marina Vallarta. The marina promenade is very popular with strollers, enjoying the many boats in the marina, and the many restaurants available for breakfast, lunch and dinner. On Thursday evenings the whole marina boardwalk turns into a market with all sorts of interesting available, much of it handmade. It is a very popular event with people coming from all over, and enjoying one of the boardwalk restaurants afterwards. Most of the cultural experiences can be found on the marina promenade, which is lined with numerous restaurants. Some have live entertainment, although there are always passing trios or mariachis who are ready to perform for you. In the evenings, artists display their works as well along the promenade. For dining, there's a wide variety of cuisine types available, the best idea is to simply walk the promenade and read their menus. The marina especially comes alive in the evenings, with people and families walking the promenade before selecting a place for dinner. Calle Popa (near the entrance and siding with Plaza Neptuno) has become very popular as it lined with many restaurants and side-walk cafes offering many types of cuisine. There's a type and price of cuisine here for everyone. The beach in front of Marina Vallarta is only accessible to the public at one end, alongside the airport. From here, (some parking is available), you can enjoy a walk east along the beach where most of the hotels and condo towers are located, or, for a more traditional Mexico experience, you can walk west in front of the airport to the beach restaurants situated by the river, called Los Jitomates. A few hotels, such as the Marriott, offer membership cards for access at very reasonable rates (Day Pass, with the food and drinks you have deductible from the cost of the pass) and also discounts at the restaurants, bars and spa. 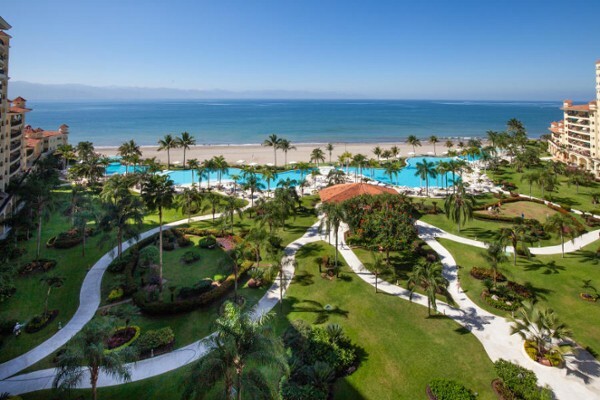 Marina Vallarta has an 18-hole course designed by Joe Finger, situated in the middle of the development, which offers a marvelous mix of the typical tropical ambiance of the Pacific coast with views of the Sierra Madre and Banderas Bay. The Marina Vallarta golf course is owned and operated by Club Corp who also have two 18-hole courses, called Vista Vallarta in the hills behind Vallarta. The clubhouse is situated on the main entry road, follow it until you have to turn and it's on your right. It also offers probably about the best golf package for those who stay here four-six months a year. You'll find more information regarding this here. 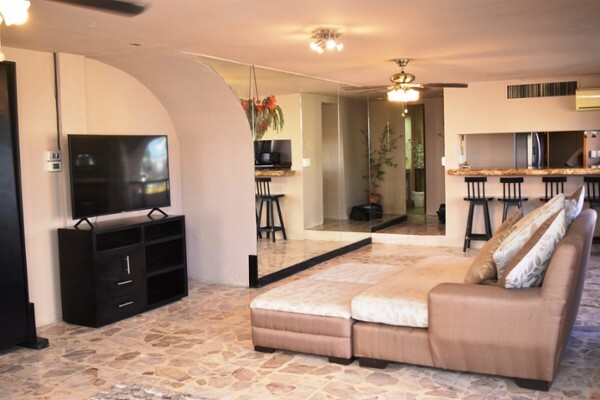 Centrally located, close to the airport and 15 minutes from downtown, the marina at Marina Vallarta is a favorite for boaters, for both long and short term rentals. There are 450 slips ranging in size from 30 to 140 ft. 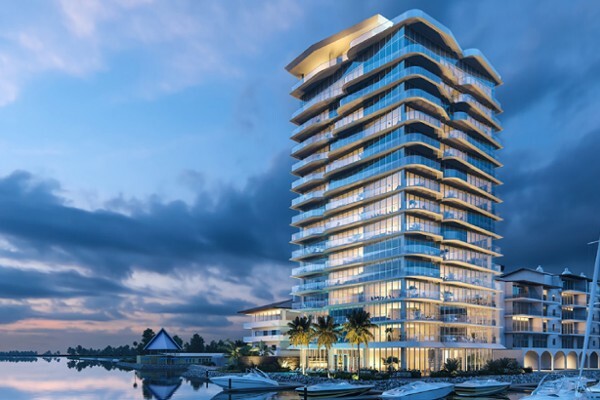 Some are privately owned in the marina (both in the main marina or in front of oceanfront homes and townhouses), others are rented on a daily, weekly or monthly basis. Services include electricity, satellite TV, water, honey barge, security, and laundry service. Opequimar provides a fuel dock, full marine services with an 88-ton travel lift capable of lifting ships up to 95 feet. There is a wide variety of Marina Vallarta real estate options available, and along with it close proximity to the airport and downtown Vallarta, it is a favorite for many. Older Marina Vallarta condo projects line the marina and golf course, with newer condominium tower units available situated along the beach that offers amazing views of the bay and looking back towards downtown Vallarta. Single family homes for sale can be found along the fairways of the golf course and in front of some of the condo towers along the beach. For those who may be moving to Vallarta and have children who are school age, an advantage to Marina Vallarta is that the American School is located here and can walk to school from most parts of the development. Below are listed some of the Marina Vallarta Real Estate properties currently listed for sale.